Drydock, was provided by Tom Paiva of Tom Paiva Photography. Publishers are not responsible for the safekeeping or return of editorial material. 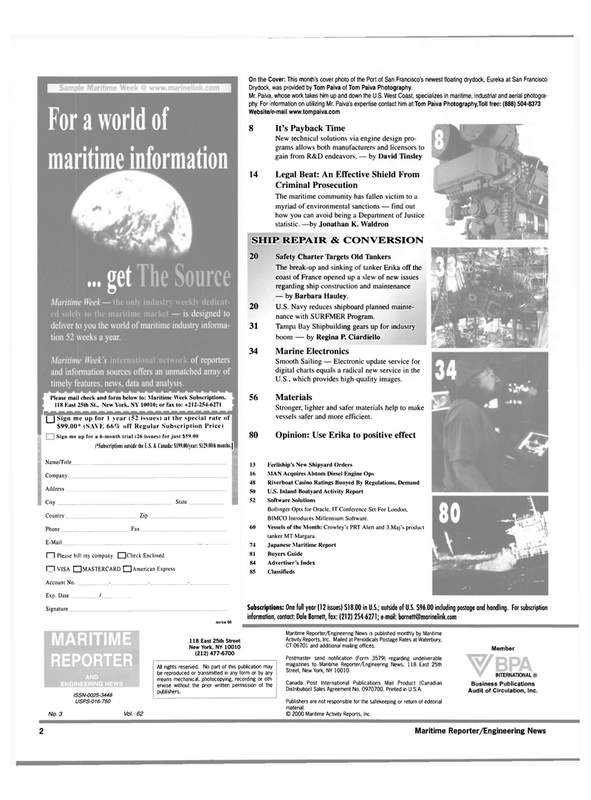 © 2000 Maritime Activity Reports, Inc.